Marsha Pyle was born in March, 1954 in Kenton, a small city in northwestern Ohio. She had one older brother, who is now deceased. 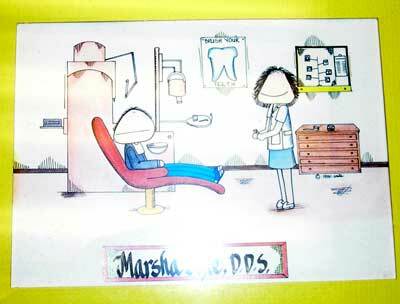 Marsha knew early on that she was interested in Science and by High School she had narrowed the field to ophthalmology or dentistry. She received her Bachelor's Degree from Ashland College. She was very shy in college and thought dentistry might be beyond her ability. She studied medical technology at the University of Dayton and earned a certificate in that field. She then put her training to work at Miami Valley Hospital. 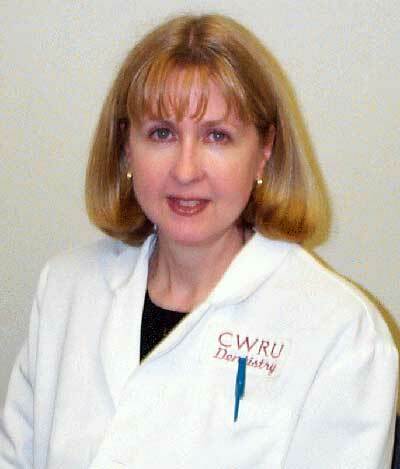 Marsha continued to work in medical technology for four years and in that time obtained her Masters Degree. It was then that she decided not to pursue that field any further and instead enrolled in dental school. 'I knew this was my dream and I had to pursue it." In 1980 she moved to Cleveland to start her second career. She found the first career (medical technology) to be great training for her new choice and would do it the same way if she had to do it over again. She found it to be good preparation for dental school. Growing up she had seen friends of her family that were dentists and knew it would be a good career choice. It combined her two loves - science and people - together. She was always artistic and dentistry would allow her artistic side to shine as well as her scientific side. Marsha spent one year in general practice with the Veteran's Administration and then went into private practice. While she was in medical school she met and married Ronald Lemmo, also a dentist. They have one daughter, Katie. From 1985 to sometime in 2001 Marsha worked part time with her husband. There is "no chance" her daughter will follow in her parent's footsteps. She is entering the education field, but wants to teach in a kindergarten or grade school setting. 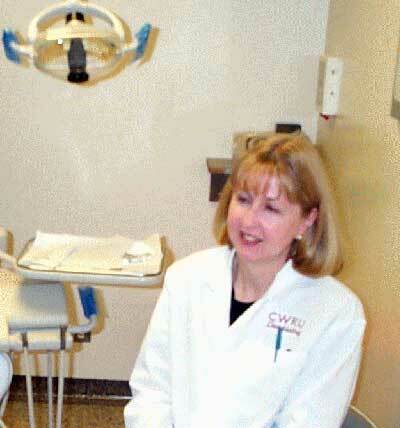 In 1989 Marsha was given the opportunity to participate in Fellowship Training in Geriatric Dentistry. She was the first dentist to go through the program. In 1991 she was hired to create a training center for Geriatric Oral Heath at Case and she continued in that endeavor until 2000. At the same time she was teaching 3rd year students. By 2000 she was an Associate Professor, a position she still holds today. 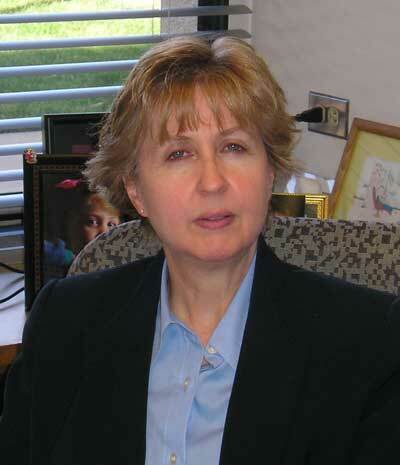 Only a year later she became an Associate Dean for Academic Affairs and in 2003 she became the Associate Dean for Education at Case Western Reserve University - School of Dental Medicine. This is the title she holds today, but she also teaches 2nd year students and oversees curriculum. Geriatric Dentistry differs in many ways from standard dentistry. "Part of the difference is the physical ailments a patient has. Older patients are much more susceptible to cavities and diseases. A younger patient usually gets cavities on the biting surface, whereas an older patient is more likely to get cavities on the root." She describes this as a much more destructive problem. "Most people loose some gum with age." To avoid the damage this can cause an older person must be much more hygienic. In addition the older the patient the better the chance they are taking other medications. These may cause side effects, like dry mouth, which is another concern of the geriatric dentist. "Then we must consider the difficulty some of the older patients have wearing dentures - a problem that is not prevalent in younger patients. Teeth help to maintain the jaw bone. If there are no natural teeth there will be deterioration." She explains that often surgical implants are the only remedy. Marsha is also the oral health expert for ClevelandSeniors.com and has answered numerous questions regarding teeth and oral health for the web visitors. She is glad to see more and more people keeping their own teeth and credits a trend to healthier living, better diets and, of course, fluoride. Marsha is not the least bit pleased to see a fashion trend of "grills" and hardware studs in teeth and lips. "Whenever you take away the structure of the tooth there will be a problem. Replacing tooth structure with a diamond or whatever hardware is inserted is very dangerous." Case Western Reserve is, as Marsha puts it "very lucky to have a robust applicant pool" for admission to the department. The school has always prided itself on treating the students well and providing them with a good experience. "There is a wonderful culture and environment in which to learn here." She cites the statistics showing that every year applicants have higher GPA's. 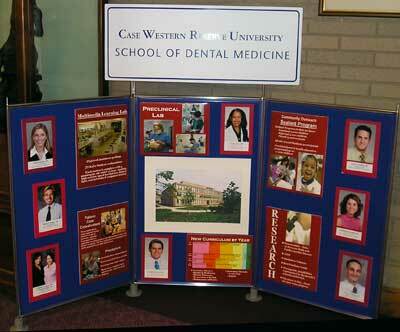 Nationally, approximately 50% of applicants to the school of dentistry are women. In European countries the percentage is a bit higher. At Case the number is actually lower. About 30% of the applicants at Case are women. Marsha finds this to be a wonderful field for women to get into. "There are so many options within the field. You could go into practice or teach or specialize. Of course dentists are always needed in public health offices and research is a wonderful option." She is very happy with her career choice, and would recommend it highly to young people. "They must understand it will take hard work, motivation and passion. There is nothing worse than the prospect of a lifelong career without passion." She cautions young people to "never give up on your dreams" and to "always accept a challenge." Although her average work week is 50 hours or more, Marsha finds time for the things she finds fun. She likes creative things. She used to sew, but now is lacking the time "and the patience". She enjoys beading work and makes necklaces and bracelets that allows her to release her creativity. When she goes to a movie she is looking for something light and oftentimes humorous. "That is my time for mindless entertainment." 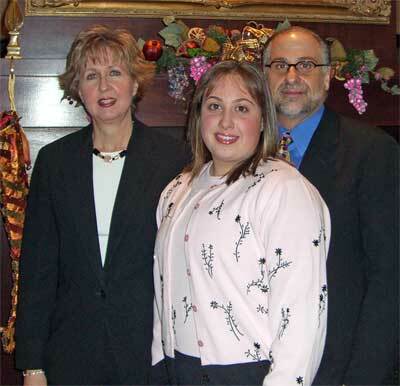 Her parents were always supportive of her and her choices. When she quit her job to move to Cleveland her mother's only advice was to "do the best you can." She has always had mentors in her life and believes we all have a responsibility to "bring someone along" on our journey. Marsha's credentials are long and varied. 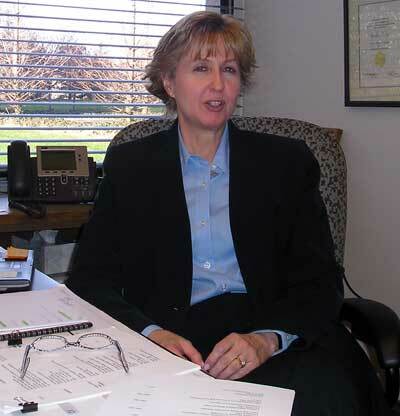 She has been a consultant to the U.S. Department of Justice and The U.S. Department of Health and Human Services. She is a staff member at the Carl Stokes Veterans' Hospital. 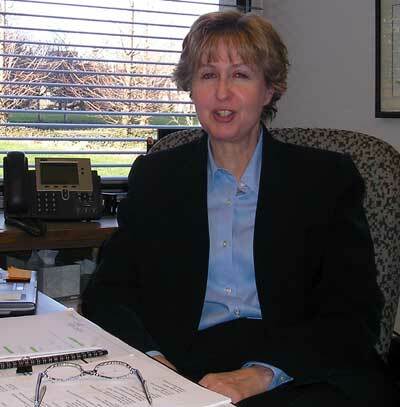 She has held numerous chair and board positions on a national, state and local level. Her work, community involvement and teaching have earned her countless awards and honors. It is often said that one of the things that contribute to the glass ceiling that some believe keeps women in the work place from advancing is that young women have no interest in science or math. Marsha Pyle is a wonderful example to young women. There was no ceiling - glass or otherwise - for her, because she pursued a dream in a field that she was passionate about. She did not stop to think if this was the right path for a girl - but rather was it the right path for her. That decision came easy to her and she has never regretted it. Marsha's attitude sets the standard for all young women. She set the bar high for herself as she does for others. She challenges young people to find their passion and make it happen and in so doing, shatter the glass ceiling. Copyright ClevelandWomen.Com. All Rights Reserved.